The Almaty Ashuu Pass was built sometime in the Soviet Union times. 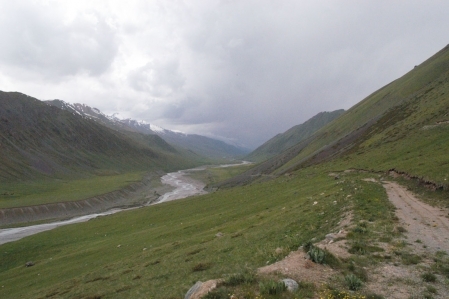 The pass connects the two cities Cholpon-Ata in Kyrgyzstan and Almaty in Kazakhstan together. The last few decades has been forgotten the pass and is therefore also in a very bad condition. 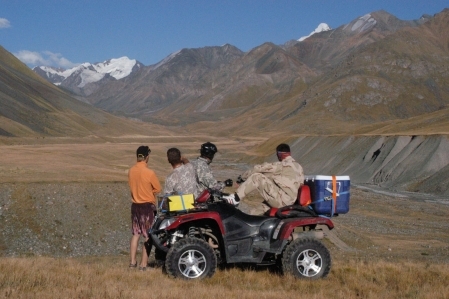 Today, the pass is mainly used by 4x4, quad and motorcycle riders. 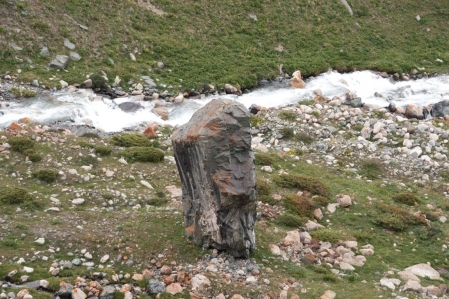 Partial come Kazakh tourists who want to spend their holiday in Cholpon-Ata on the pass to the Issyk-Kul lake. The pass connects two national parks such as the Chong-Kemin National Park and the Ile-Alataw National Park with one another. But before you get to the Issyk-Kul lake, they still need over the Kök-Ank Ashuu Pass with about 3,931 m.
Very bad gravel road, a 4x4 vehicle is only to recommend or Enduro.